Most areas of Freetown are in a state of darkness tonight, as the people of Sierra Leone digest the latest news from State House, announcing the sacking of both the minister and deputy minister responsible for electricity and water supplies – Mr. Oluniyi Robbin-Coker and Mr. Martin Bash-Kamara. And president Koroma has also ordered the immediate suspension of the top management of the country’s power generator – NPA, for persistently failing to meet the expected standards of electricity generation, transmission, service delivery and tariff collection. But many in Sierra Leone believe that several senior managers – including the General Manager – Dr. Zubairu Kaloko, may have been guilty of criminal negligence and corruption. The allegation is that the unpopular practice of ‘shed loading’ has been used by senior management to divert electricity to the properties of individuals in return for cash that was never paid into the Agency’s accounts. 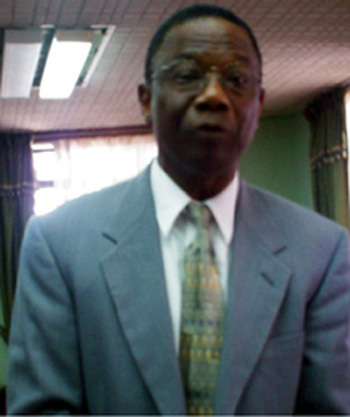 The appointment of Dr. Zubairu Kaloko was not without controversy. Following his appointment as General Manager of NPA in November 2007 by president Koroma, there was outcry of the recruitment process lacking in rigour and transparency. And despite public outcry and media reports of senior management poor performance, president Koroma continued to keep Dr. Zubairu Kaloko (Photo) in his post. But sources close to State House say that with the recent increased funding support from the World Bank, the EU, the African Development Bank, DFID and the Abu Dhabi government, it was inevitable that heads had to roll at NPA. It is understood that confidential reports into the failings at NPA, recommended root and branch restructuring of the sector, including changing of senior personnel and their functions. After spending over $400 million in redeveloping the country’s electricity sector since coming to power in 2007, the abysmal failure of the ministry of energy in achieving its own targets has become unacceptable. Sierra Leone is in desperate need of generating a minimum of 500 Megawatts of electricity to meet the needs of households, essential services – such as hospitals, water pumping stations, offices, street lighting and non-mining industries. Yet, only a miserly 30 Megawatts of electricity – at most, is being generated by the Bumbuna Hydro-electricity station in the north of the country, complemented by two thermal reconditioned generators based in Freetown. But in the last three months, Bumbuna has become a headache for president Koroma, as both turbines driving the generator shafts ground to a halt. (Photo: sacked minister Robin Coker – right). The cost of running the two thermal plants in Freetown – each producing less than 5 Megawatts – is estimated at over $5 million a month, for a country with a population of 5 million, whose average daily income per person is no more than a dollar. According to statistics, 90% of households in Sierra Leone are suffering from fuel poverty. Hospital theatres risk the lives of patients, when decisions are taken to carry out risky operations without electricity. Sierra Leone’s electricity sector cannot be improved without major restructuring and liberalisation, driven by legislation. And the decentralisation of distribution, transmission and tariff collection cannot be ignored. The sector must be broken up into two services – electricity generation, and transmission and sales, and private companies encouraged to invest and take over the running of both services efficiently. When president Koroma visited Abu Dhabi a few weeks ago to receive news of Sierra Leone’s success in winning a massive $18 million bid for the development of a solar farm in Freetown, it was obvious things would never be the same at the ministry of energy and NPA. Such investments would require sound strategic management. 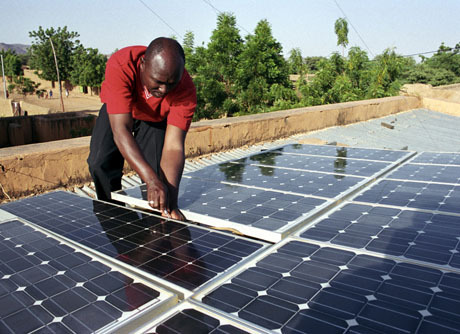 Similarly, when the World Bank agreed another tranche of $24 million for the development of the electricity sector, strict fiduciary and governance guidelines had to be adhered to by State House. Sadly, under current poor standards of management, those guidelines cannot be met. President Koroma had no choice, but to sack both ministers and suspend the senior management of NPA – subject to investigations. 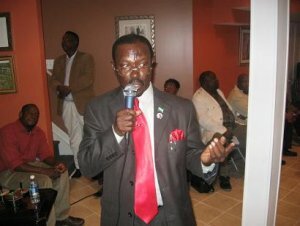 (Photo: Sacked deputy minister – Martin Bash Kamara). But few in Sierra Leone would wish the return of the suspended managers, who have been responsible for the poor performance of the sector. This now opens the way for president Koroma to begin the restructuring phase, which no doubt will be difficult, but necessary. In the interim, the president should utilise World Bank funding to appoint specialist international consultants to manage NPA as it goes through this difficult phase. President Koroma must now also split the energy sector from water resources, thereby creating two ministries – with new ministers at the helm. 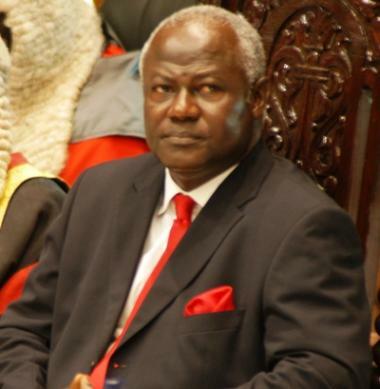 And Koroma should not baulk at the thought of looking across the political and tribal divide to appoint new ministers he could trust – with the professional skills to oversee those two critical and politically sensitive departments. Perhaps the president should recall Professor Robert Davidson (Photo), whom he unceremoniously relieved of his ministerial responsibility for energy and water resources a couple of years ago. Professor Davidson should be given another chance at this important stage in re-configuring and restructuring the country’s energy sector, but without undue political interference which accompanied his previous appointment. Such reappointment will bring much needed credibility and professionalism to the sector, as foreign investments begin to pour in. 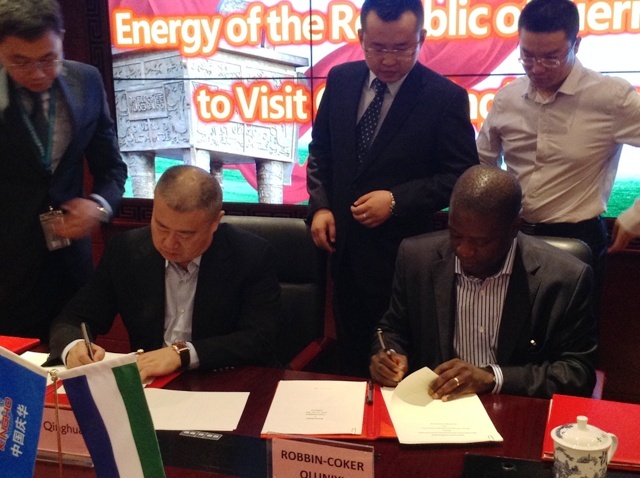 Last year, the deputy minister of energy and water resources – Martin Bash Kamara told Reuters in a headline grabbing statement that “Sierra Leone is begging for $3.5 billion for its energy sector.’ And not surprisingly, he did not succeed in attracting the cash. Three years ago, the American energy corporation – Joule, said that they are hoping to raise and invest $800 million to redevelop the country’s main source of electricity – the Bumbuna Hydro dam in the north of the country, including transmission lines. But that plan by the Americans never materialised, after the government decided to turn to the east – China for investments. Joule Corporation’s investment was planned to increase the supply of electricity to more than one gigawatt by 2015 – enough to meet the country’s needs. “In the past few weeks, several meetings were held at State House to review our energy projects. “The outcome of these meetings has left His Excellency the President with the conclusion that the Ministry of Energy and the National Power Authority have not proved themselves equal to the task of managing the implementation of our energy projects. “In consequence thereof, His Excellency the President has decided to relieve Mr. Oluniyi Robbin-Coker, Minister of Energy and Mr. Martin Bash-Kamara, Deputy Minister of Energy of their duties with immediate effect. It is apparent that we have appointed people who simply have no business to be in those positions. This country just got infatuated with the belief that PHDs and MBAs are the panacea to all our development needs. Wakeup and realise that in the developed world they appoint people based on experience and skill, who incidentally may by graduates. People with expertise and experience are never consumed by their own importance. Sierra Leone needs experts with can do mentality. What is the GM of NPA doing in a three piece suit all day – not getting his hands dirty with grease? We have far too many theorists instead of workers who can solve practical problems. Our answers right now to the country’s electricity problems are not in text books. Let us have pragmatists with commonsense. If for six years these academics cannot turn things around, why are they there? When the Kingtom generators go down we need a GM who can be there all night covered in grease to fix the problem. The poor job performance of these individuals is as a result of nepotism and political appointments.These guys were placed in those positions as a reward for their monetary contributions towards the ruling APC government during the 2007/2012 presidential elections .Please give us people that are fully qualified both managerial and electrical engineers in order to increase constant electrical supply not only in Freetown but the entire country.Sierra Leoneans have suffered enough in my opinion and enough is enough.